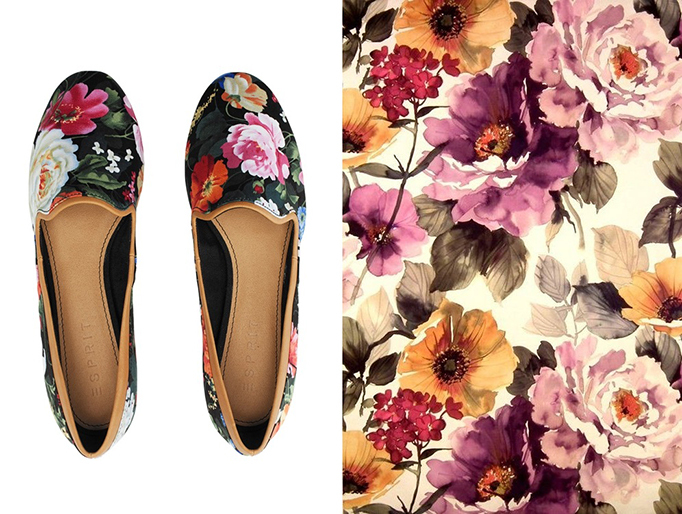 This time I saw fashion in this flowery drawing and found this very similar pair of shoes from Esprit! Don´t you agree that they look like a copy? :-) I love it!! This season I´m a huge fan of flower printed clothes, but I´m still careful when I´m about to wear such a piece of clothing. To me it is important that the colors are in perfect harmony and don´t look too much!